Africa the second largest continent in the world in terms of both land area and population, only after the Asian continent. The African continent is home to 54 sovereign countries, and it might be the world´s most diverse continent. While although ignorant people in the west would often refer to Africa as a single country, so do in fact every one of these 54 countries on the continent have a very different and unique culture, making the African continent one of the world´s most interesting travel destination. Especially if you like getting off the beaten path and venture of on your own adventure far away from mass tourism. Sunset over the famous Sunset over the Baobabs in western Madagascar. The first thing most people will think if when they are planning a trip to Africa is the amazing wildlife that the African continent has to offer, and with 1100 different types of mammals is to no one’s surprise that going on Safari here is one most people’s bucket list to see the “big five”. But Africa has so much more to offer than just big mammals in the world famous national parks along the eastern and southern part of Africa. 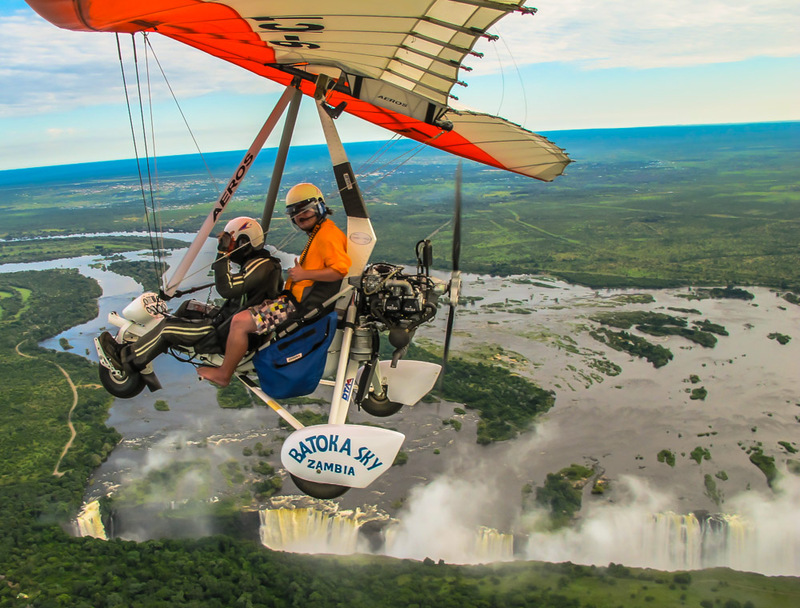 For landscape and nature are the world´s second-biggest waterfall the Victoria Falls is located in the southern part of Africa, between the two countries Zambia and Zimbabwe and the Saharan desert, the world largest sand desert in the north of Africa. But few people venture off the main tourist trail and discover the untouristy Africa, where you can experience the real beauty that Africa has to offer. That´s the part of the continent which offers some of the friendliest people in the world in places you wouldn’t expect, amazingly diverse and beautiful landscapes that you can hardly find any pictures of online. And surprisingly even some of the most beautiful beaches in the world with absolutely no other tourists around is here on the African continent. 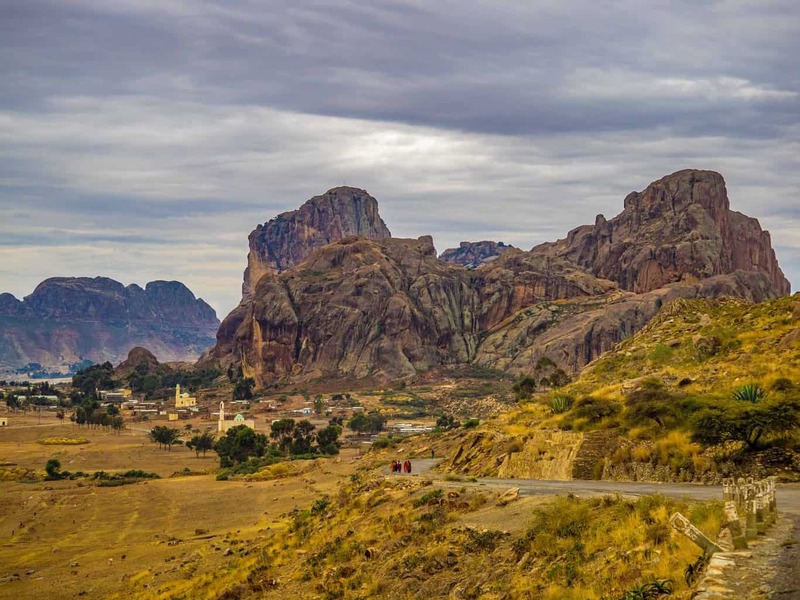 Here Are Five Highly Underrated Countries In Africa, That Deserve Much More Tourists. The tiny island nation of the west coast of Africa and the second smallest country on the continent. A Portuguese until 1975, is one of the worlds lest visited countries by tourists only about 29 000. 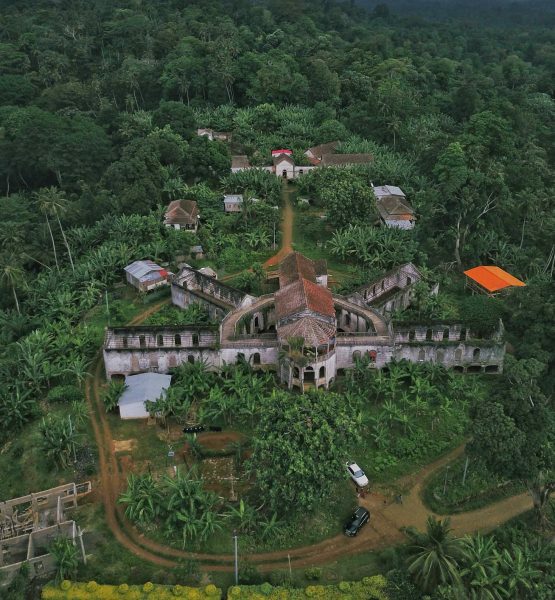 The people in charge of promoting tourism in Sao Tome is probably doing the world´s worst job. 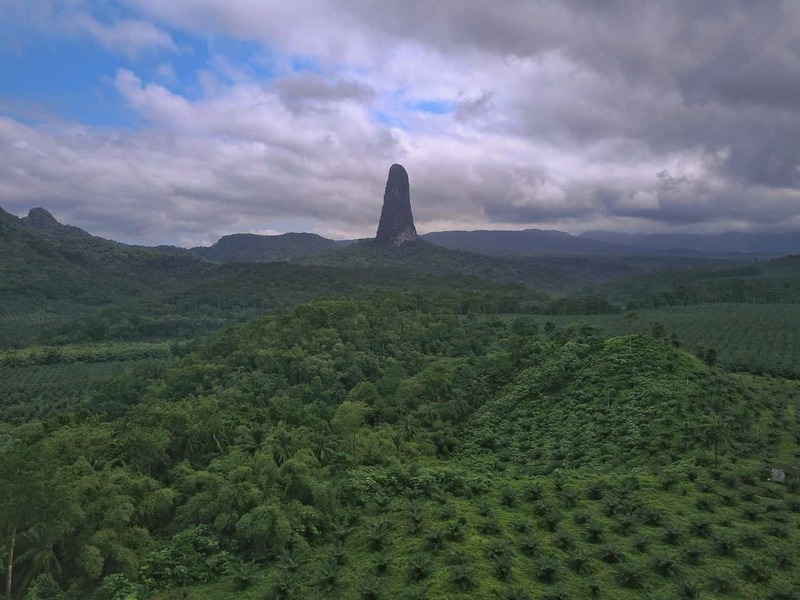 The country has so much to offer, pristine beaches and crystal clear water, endless hiking opportunities through a landscape that looks like it´s taken straight out of Jurrasic Park, and what might be the world´s strangest looking mountain, and not to forget maybe the world`s best chocolate. No more than four different types of turtles lay their eggs along the beaches in Sao Tome & Principe, including world´s largest Turtle spices, the Leatherback. Sao Tome & Principe consists of two different islands, Sao Tome and the Principe island. Principe is even more remote and beautiful than the main island and a paradise for birdwatchers and chocolate lovers. Can´t complain about the beach here, no garbage, no annoying sells men — just pure paradise. 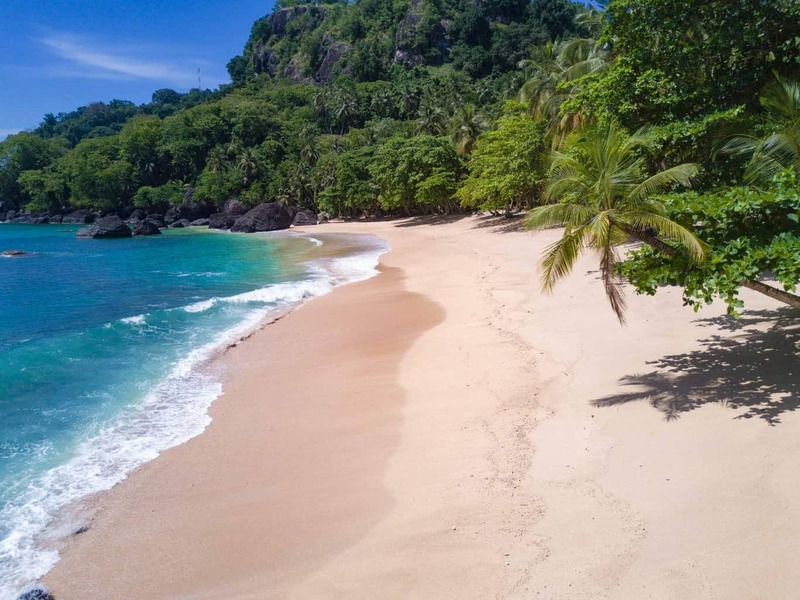 Why You Should Visit Sao Tome & Principe! If you want to go on an active holiday away from the crowds where you want to go hiking in an untouched forest one day and the next day relaxing on a pristine beach with few to no other people around. Sao Tome & Principe is one of the cleanest countries I’ve ever visit. The only way to reach Sao Tome & Principe is by plane to São Tomé International Airport. It’s the only international airport in the country and one of only two airports in the whole country. The second airport is located on Principe and is only served by one local flight a day between Sao Tome and Principe. The only way to reach Sao Tome from Europe is with TAP Portugal or STP Airways, both flying from Lisbon, Portugal. That’s the ONLY service between Sao Tome and Europe. From Africa, there are flights between Ghana, Gabon, Angola and Sao Tome. One of many old Portuguese ruins around the islands. Click here for information about Visa, Money, Transportation and Activities, a complete guide to Sao Tome & Principe. This post about crossing the Equator. Click here to read a complete guide for Principe. Important Thing To Know Before Going To Sao Tome & Principe. Local ATM´S on Sao Tome & Principe don´t accept western bankcards, bring cash! The best place to stay at in Sao Tome & Principe. There are not many accommodation options around Sao Tome, so your best option is to stay in the capital and do day trips around the Island. And by far the best place to stay is at Sweet Guest House. The best option at Principe is the Roça Belo Monte Hotel an old coffee plantation now turned into a beautiful hotel. The tiny country, Comoros of the eastern coast of Africa, a country that few people can pinpoint on a map. A country that ranks as the 179th (11th last) poorest country in the world and a true of the beaten path destination. And one of few places on earth has given me a bigger positive surprise when it comes to a travel destination. 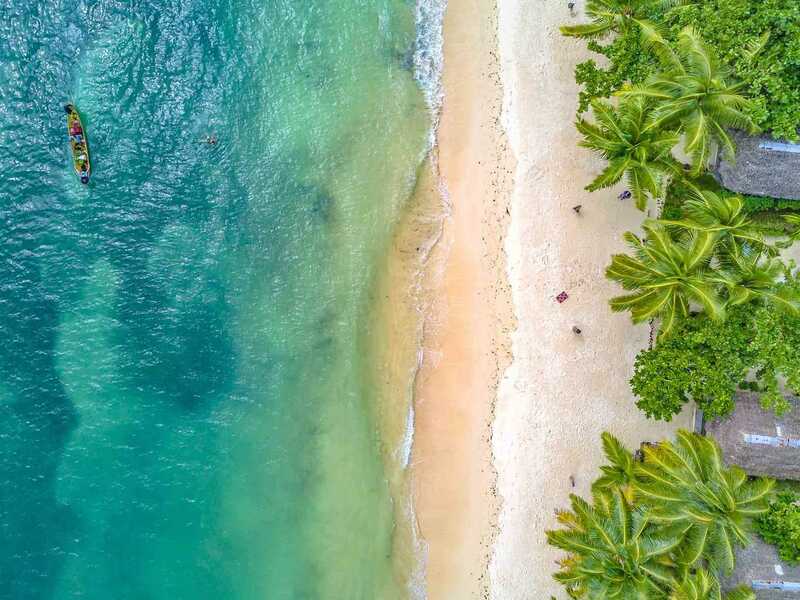 Amazingly friendly and warm people, world-class beaches and an underwater world, that even the most famous countries in south-east Asia would be jealous of. And to everyone surprise is Comoros one of the very best places in the world to swim with and experience Humpback whales up close. But for some reason did Comoros received even fewer tourists than Sao Tome & Principe last year, 18 000. And that´s one of the world´s biggest mysteries why not more tourists visited this pearl of east Africa. Comoros gained independently from France in 1975. But have since then experienced more than 20 coups d’état or attempted coups, with various heads of state assassinated, the countries the first president after independence didn’t even make its second month before he was toppled in a coup. Comoros was a mercenary’s heaven here for almost 30 years. Comoros was actually considered the worlds MOST unstable country up to 2008, but have since then been relative stability and secute. I felt completely safe during my whole visit, and I can from experience say that the locals were some of if not the friendliest I have met in all of Africa. Comoros is made of by three islands: all very different from each other. Grand Comore (Ngazidja), the biggest one. Anjouan (Nzwani) trying to be independent. 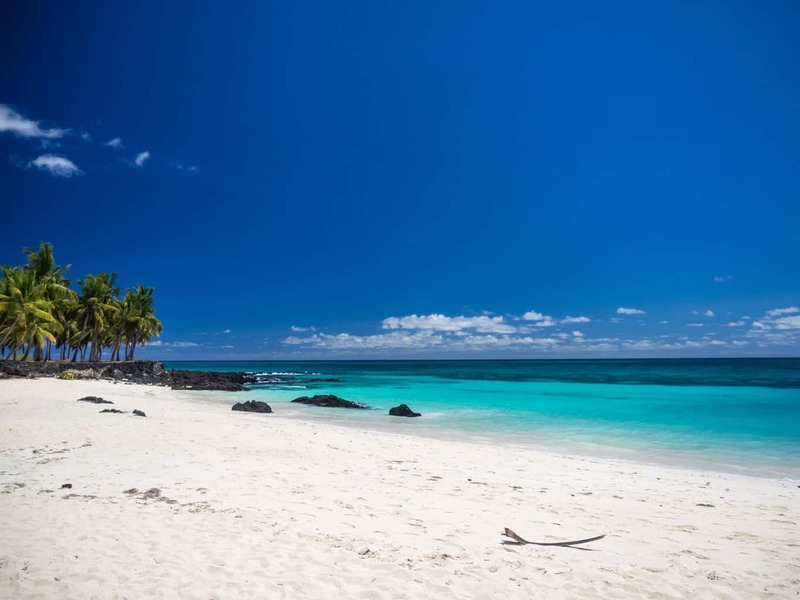 Why You Should Visit Comoros! You can relax at what´s maybe the best beach in all of Africa and the chance to swim with Humpback whales? Do you need any more reasons? There are no direct flights to Comoros from outside Eastern Africa, with the best connections being with Kenya Airways through Nairobi or trough Addis Ababa with Ethiopian Airline. There are also flights trough Madagascar, Tanzania and Reunion. Travelling between the three islands that make up Comoros. Will highly depend on the wheater conditions. If it´s too windy, the boat´s will not between the islands, so plan extra time, you might get stuck on an island for a few extra days.. 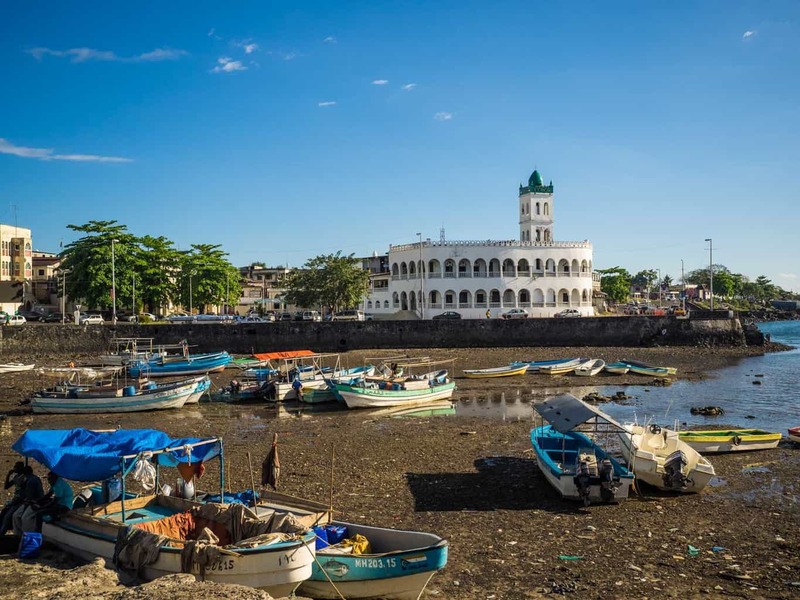 There are no guidebooks for Comoros and very little information online, but these links have the most up to date information. Top 8 Things To Do On Grande Comore(Nagazidja) The The biggest of 3 islands in Comoros. 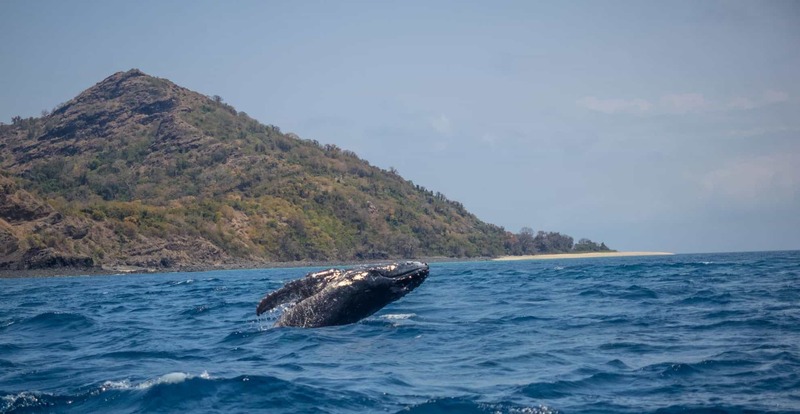 Moheli Island Your Guide to swim with Humpback Whales in East Africa. Eritrea, the small unknown country in East Africa of the horn of Africa at the banks of the Red Sea, is home to one of the world’s worst dictatorships. Only 2000 western tourists visited Eritrea in 2018, so it´s one of the worlds´least visited countries. Which is not strange since a tourist visa for Eritrea is one of the most difficult visas in the world to obtain. But the good news is that it has recently become a bit easier to get the visa. This small nation with just over 6 million people, is one of the world’s biggest providers of refugees. The UK receives more Asylum seekers from Eritrea than from anywhere else. Eritrea got its independence in 1991 after 30 years of war with its neighbour Ethiopia. The country was also an Italian colony from 1890 to 1947. The slice of history from its colonial times is very well preserved. The capital Asmara is an art deco heaven and looks more like an Italian city than a city in Africa. Why You Should Visit Eritrea! Eritrea has a lot to offer, expect human rights. 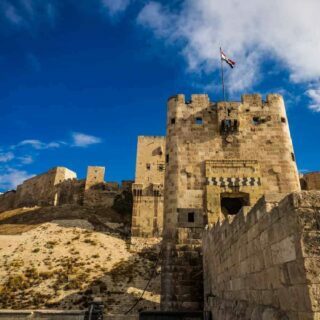 The capital is a charming city full of old Italian buildings and many small coffee shops, the eastern part of the country offers fantastic scuba diving in the red sea. How To get To Eritrea. Getting to Eritrea has always been a nightmare, the land border has been closed for foreigners, so the only way has been to fly into the capital Asmara. But things a changing after the recent improvement in the relationship between Eritrea and Ethiopia. The airport is currently only serving international flights by FlyDubai, Turkish Airlines, and Egypt Air. Qatar Airways stopped all their flights to Eritrea by December 2016. The local airline Eritrean Airlines flies to Milan, Dubai, Sudan and Saudi Arabia, but they currently don´t offer online booking. Ethiopian Airline did resume flights between the two countries in late 2018 for the first time in 30 years. You will travel permits, to travel everywhere in the country, even to leave the capital. Contact a local travel agency, weeks before you arrive to get them to arrange them. Everything You Need To Know Before Going To Eritrea. 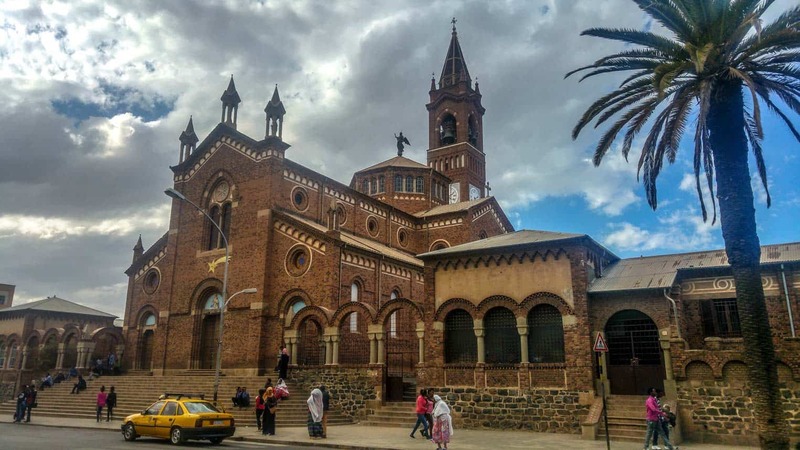 Travel Guide To Asmara the capital of Eritrea. A Visit To The Tank Graveyard In Eritrea. Visiting The Southern Part Of Eritrea around Qohaito & Senafe. Visting Keren And The Western Part Of Eritrea. Visiting Massawa And The Red Sea In Eritrea. Algeria is the largest country in Africa and a country with a fantastic diversity of landscape with the Sahara desert in the south, beaches along the Mediterranean sea to the north, mountains that offer excellent hiking during the summer and skiing opportunities in the snow during winter, and with an extremely rich history. 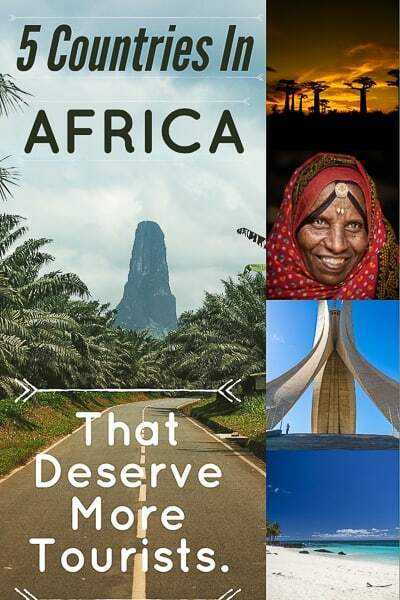 7 World Heritage sites and is one of the most socially developed countries in the whole of Africa. 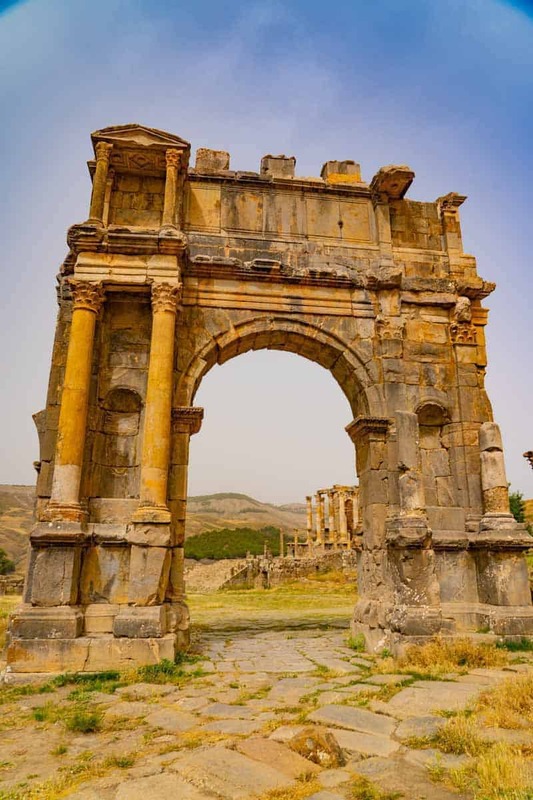 Djeimla Roman Ruins, one of the seven UNESCO world heritage sites in Algeria. Algeria was known as French Algeria for 132 years (1830 to 1962), so it´s no surprise that some Algerian cities will make you feel more like you are walking around France than wandering around an African country. Algeria has had a bad reputation for years in the west, of armed terrorist groups often targeting foreigners from the civil war that only just finished in 2002. However today those problems are long gone. Algeria is now a very safe country to visit. 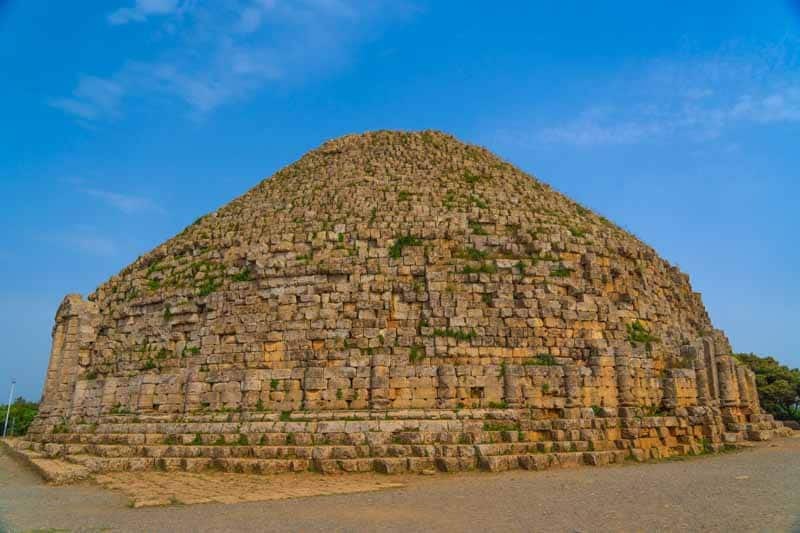 The Royal Mausoleum of Mauretania, one of many historical sites around the country. Martyrs’ Memorial in the capital Algiers. Why You Should Visit Algeria! 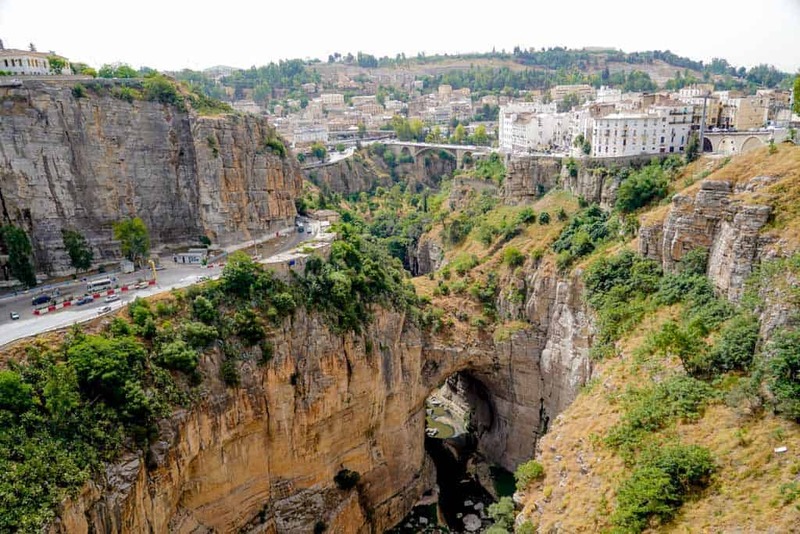 Algeria has more to offer than you would expect, the capital Algiers is a charming city with a mix of French architecture, and The Casbah neighbourhood long the hills in Algiers overlooking the Mediterranean sea built in the 16th to 18th century, protected by a wall surrounding the city. Today it´s the historical and traditional heart of Algiers and a UNESCO world heritage site. Some of the best preserved Roman Ruins in the world are located around the country. The southern part of the country is a adventures dream around Tamanrasset and the Hoggar mountains. With ferry from Spain, Frace or Italy (boats are more expensive than flying. And most common and easiest flying. I flew to Algeria with AirFrance through Paris and left with Qatar Airways through Qatar. There are 18 International airports around Algeria! Important Thing To Know Before Going To Algeria. You can only apply for an Algerian Visa in your country of residence. Everything You Need To Know Before Going Algeria. 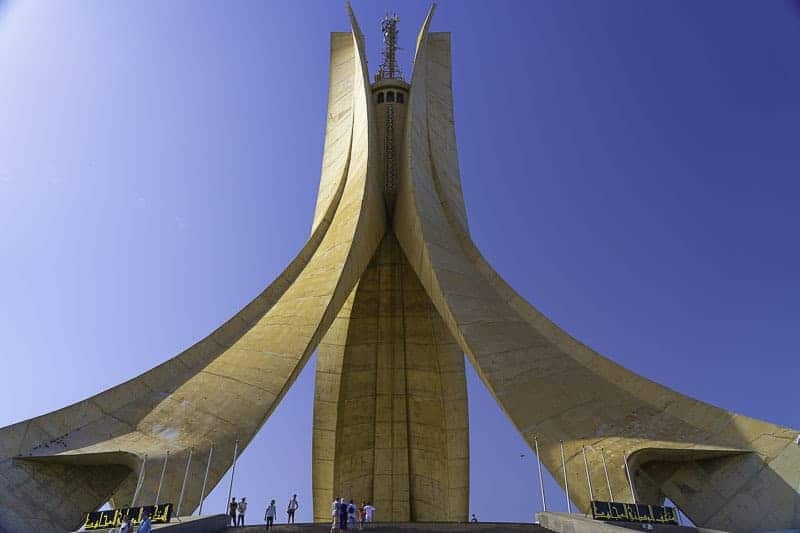 Top 10 Things To Do In Algiers, the charming capital of Algeria. Tipasa Roman Ruins In Algeria, A UNESCO World Heritage Site. Djemila Roman Ruins In Algeria, A Unesco World Heritige Site. Constantine Travel Guide To The City Of Bridges. Madagascar: the perfect destination for the adventurous traveller and those who want to get away from mass tourism – but travelling around the 4th biggest island in the world will require a lot of time, and will push your patience to breaking point. While the four other countries mentioned in this post are infamous and have a bad reputation, so is it a wonder that less than 500 000 tourists visit Madagascar a year, most of them fem neighbouring countries. If you’ve got time and patience, will Madagascar rewarded you with one of the most biodiverse destinations in the world. 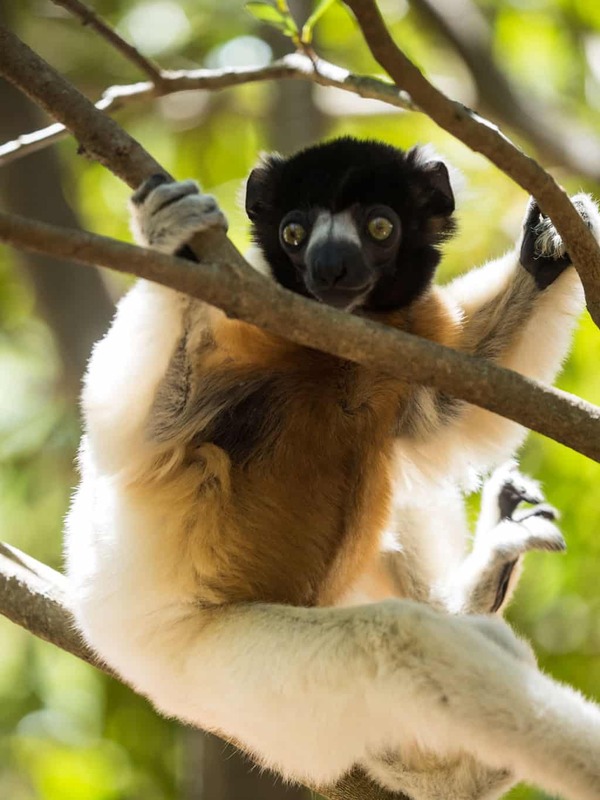 Madagascar is home to thousands of species of flora and fauna of which almost 90% cannot be found anywhere else in the world, including the famous lemurs. Madagascar is home to some of the best and most underrated beaches in the world together with some really breathtaking nature and scenery. An Untouristy beach in eastern Madagascar. Why You Should Visit Madagascar. 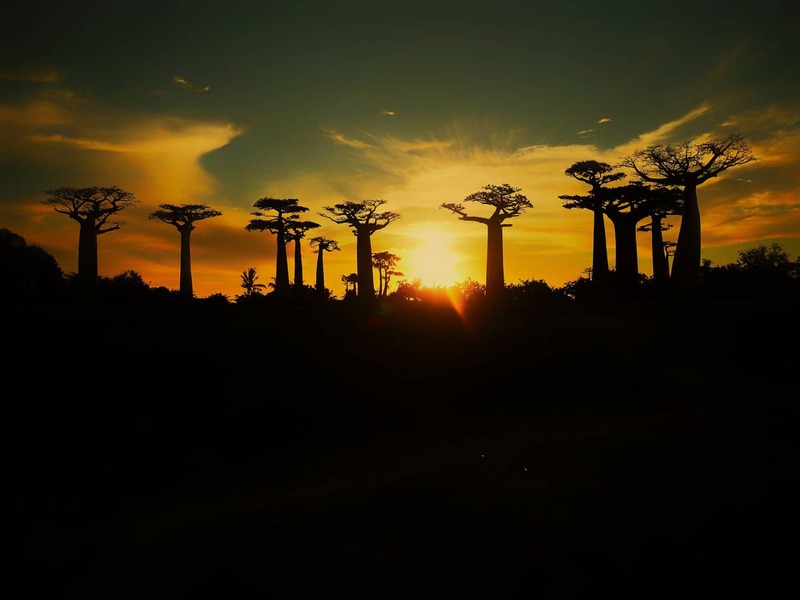 Madagascar is the perfect place to get away from mass tourism, even at the most famous site in the country, the Avenue of Baobabs is you likely not encounter more than a few other tourists. If you are interested in pirate history is the world´s only pirate cemetery located off the eastern coast of Madagascar on the small island of Ile Sainte Marie. Visit the small island of Ile Aux Nattes to discover the most relaxing and stunning island on the African continent. The Ivato International Airport 20km northwest of Antananarivo, the capital of Madagascar is the main way into Madagascar. But surprisingly few international airlines fly to Madagascar, the only direct routes from Europe are with Turkish Airlines through Istanbul, Air France and Corsair through Paris. Important Thing To Know Before Going To Madagascar. Travelling around Madagascar is ridiculously slow, it might even be the slowest travelling country in the world, so plan extra time if you want to get around, you will spend an entire day on a bus just travelling 400km. Everything You Need To Know Before Traveling To Madagascar Guide. Visit The World´s Only Pirate Cemetery. Visit The Avenue of Babobas. Visit The Paradise Island Of Ile Aux, an island with no vehicles.